Question: How do you place them? Answer: The dental implant is actually inserted into the jawbone, where it will act like a new tooth root. Made from titanium, which is biocompatible, the new tooth root bonds with the jawbone tissue through a process known as osseointegration. Question: Do they look natural? Answer: After we place them and osseointegration takes place, we then add an abutment to the dental implant that will hold a dental crown in place. The restoration will be custom-made using ceramic, a strong material that also mimics the appearance of tooth enamel. We even shade the material to ensure the restoration blends with the rest of the smile. Question: How long will my new tooth last? Answer: That will vary and depend on a number of factors, such as the health of your smile. On average, patients taking proper care of their smile can expect the new tooth to potentially last decades, if not a lifetime in some cases. In order to maintain them, you need to brush your teeth twice a day and floss every night before bed. Routine checkups and cleanings are also necessary to maintain optimal oral health and protect your new teeth. Question: Can anyone receive them? Answer: We first need to make sure you have enough jawbone tissue to support them and that your smile is free of periodontitis, the advanced stage of gum disease which can lead to implant failure. 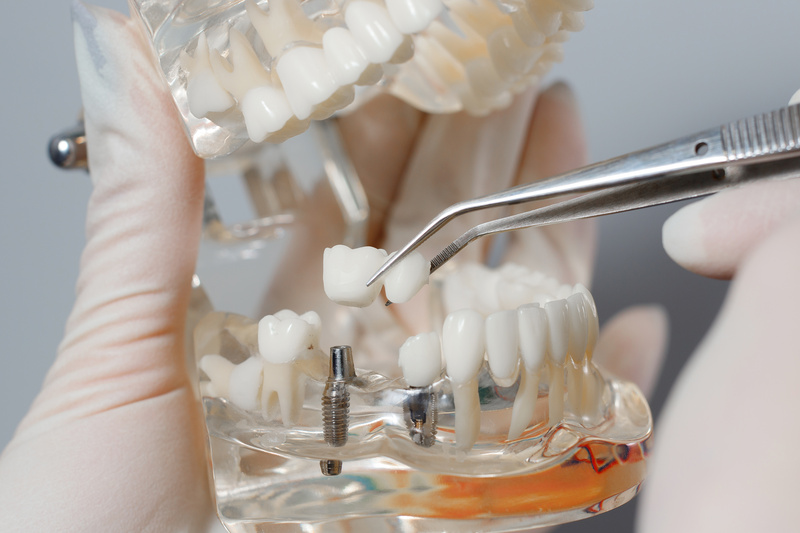 If you have any questions about implant dentistry, then contact our team today. Do You Have Questions About Implant Dentistry? Let us help you enjoy a complete smile with advanced implant dentistry! For more information, schedule a consultation by calling Modern Smile in North Hollywood, CA, today at 818-763-9353. We also proudly serve patients who live in Burbank, Toluca Lake, and all surrounding communities.